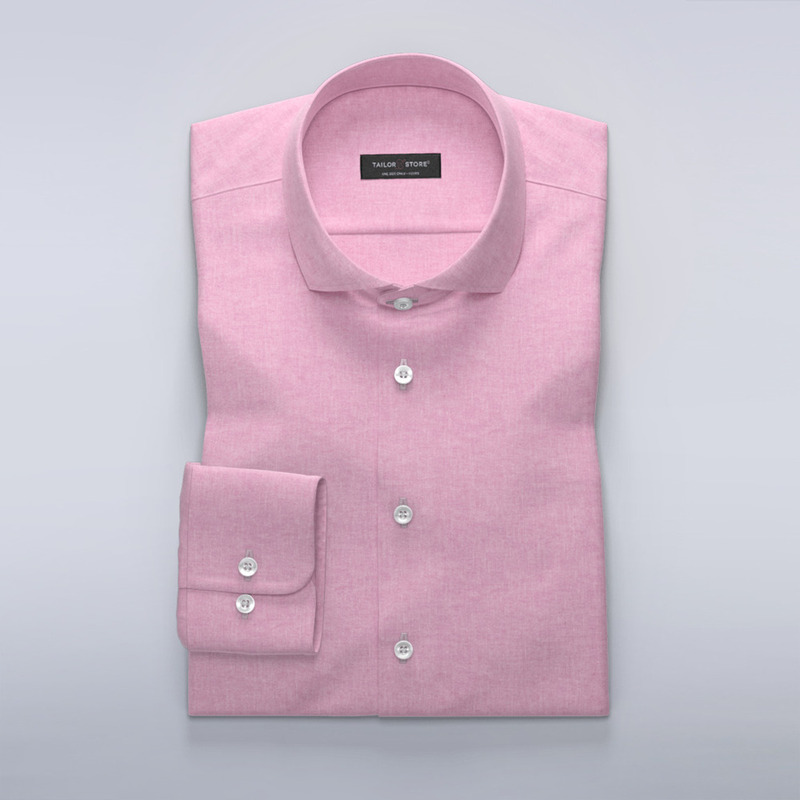 Customized shirt in light pink and white buttons. Made in an airy and soft mixed fabric of wool and linen. Cut-away extreme collar. A perfect shirt for spring and summer together with a pair of white chinos and white sneakers. Customize this shirt in your size.